The 8th International Charro Championship is being held in Puerto Vallarta at Arena Vallarta from January 30th to February 3rd, 2019. With the participation of the Best Charro teams in Mexico and United States, guests will enjoy an exciting cultural event with loads of interesting activities and competitions. In addition to the men’s competition, there will be the ladies charro tournament as well which is known as Escaramuzas. 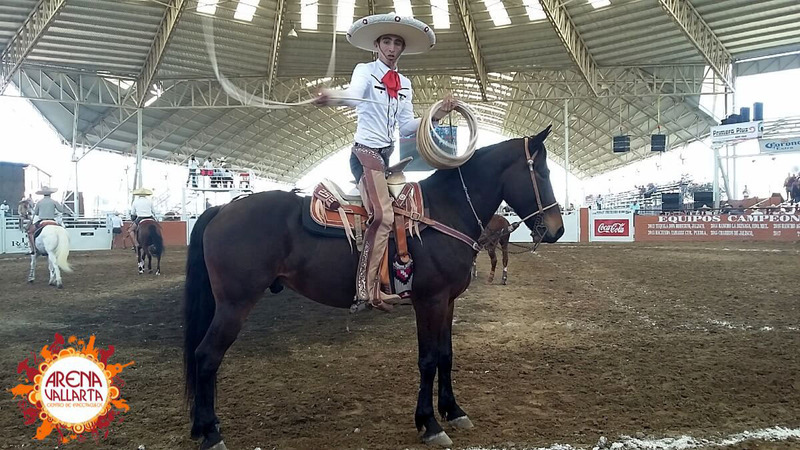 Head out of town to experience a day in the life of a real cowboy at this year’s 8th International Charro Championship at Arena Vallarta. It’s just another interesting cultural event that residents and visitors can enjoy in Puerto Vallarta. This exciting event kicks off on Wednesday, January 30th at 8:30pm with Verbena Mexican Traditions, Mariachi group “International Real de America”, ballet performance by Xiutla and Rope floreo. On Thursday, January 31st, there will be a mass at 10 am in the Hacienda Serena chapel following by the opening ceremony at 11:00 am. 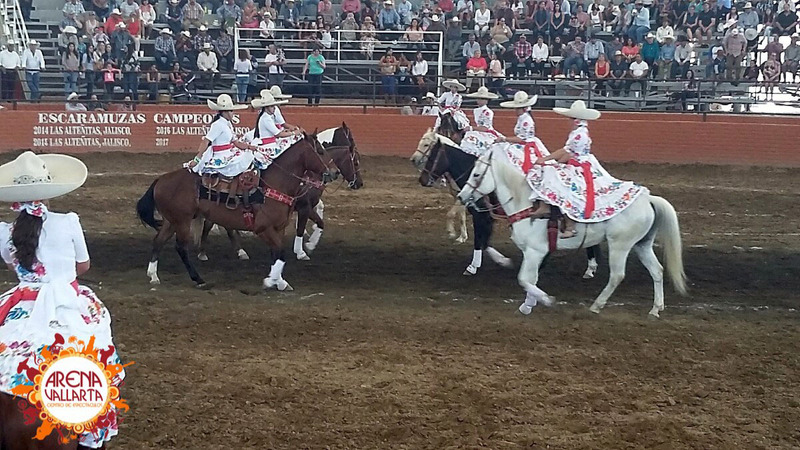 The first charreada includes competitors from various states across Mexico as well as individuals from California. Each day throughout the week long event, charros will complete in 3 daily charreada competitions that are held at 11:00 am, 3:00pm and 6:30pm. The finale will conclude this year’s event on February 3rd with the Grand Final with skirmishes between various groups and a raffle for a new car at 8:30pm and closing ceremony. In addition to the exciting charro events, there will be live music at various points throughout the event. Delicious food and drinks will be available including a variety of “Antojitos Mexicanos” known as Mexican Snacks in English, as well as fresh local seafood and Regional dishes. This is a family friendly event so bring the whole family along with you. There is handicapped access and a children’s playground as well with an onsite staff to watch your little ones so parents can have some adult fun. There are plenty of clean bathrooms, a parking lot and there is public transportation and security available as well. Make sure to check out the souvenir stands as there will be loads of local handicrafts for sale which will make great mementos to remember this unique event by. Are you a local resident or plan to vacation in Puerto Vallarta in late January or early February? If so, take a break from sunbathing for the day and head to Arena Vallarta to experience the 8th International Charro Championship. It is sure to be a day you will never forget!